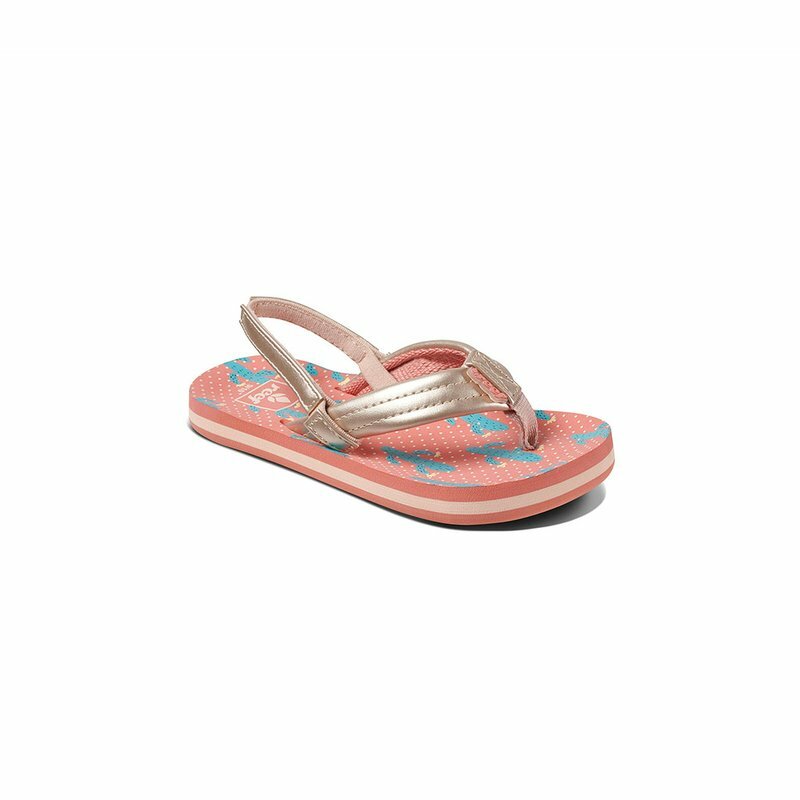 Whimsical and colorful, just like those perfect days on the water, milkshakes and sandcastles. 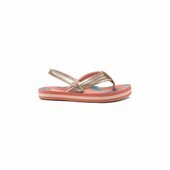 The Little Ahi sandals feature a gold faux leather strap with soft polyester webbing lining for comfort, a cactus printed contoured EVA footbed in coral and aqua, and a durable high density EVA outsole. These sizes include a backstrap for better mobility, that can easily be removed if not needed.